David Kravetz and Eileen Spitalny have known each other since kindergarten. 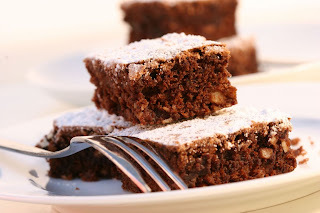 They started their company back in 1992, when they began selling brownies at local craft fairs. After graduating from USC, they began on a shoestring budget and used a commercial kitchen at night to make their brownies from scratch. That first year of business generated $250k in sales. Since then, they have grown to over $8 million in sales. David attributes much of their success to buying the webname http://www.brownies.com/, in 1995. Pretty smart cookie, I mean brownie! However, I must say I was disappointed to learn their sales are only $8 mil. I live in AZ, and hear about this company all the time. Why are sales so low?